We were looking to design a custom engagement ring when we stumbled onto Lisa's site and glad we did. Lisa was amazing with her professionalism, artistry, and customer service. Lisa was able to take our vision of what the ring should look and make it into reality. Once more, she was caring and reflective to our budget and time. We were ecstatic at the end product. We couldn't afford this ring in a chain store, nor could we get the personal touch that made this ring special and unique to us. She stayed late when we needed, listened to us, and cared about our feelings. It's incredible to find a person who only wants to create a design that perfectly matches a person's vision while working with them financially. She is a professional, she is an artist, and she will make your jewelry dreams come true. Thank you, Lisa, we love the ring. Michelle and Stephen. It was so much fun for me to bring your ideas to reality. You put so much thought into what you wanted and what it symbolizes. I wish you both all the best and look forward to working with you again. Lisa is truly one of the best jewelers and metalsmiths in the area if not the country. Save yourself a lot of time and money searching for someone that does top-notch work and won't rip you off and just visit Lisa. From the moment you meet her and see her work, you'll realize how friendly, trustworthy, and talented she is. I have been overly pleased with all that she has done for me and would never go anywhere else. Thank you for your kind words, It was a pleasure working with you to design this one-of-a-kind ring for Melissa. I wish you nothing but the best and look forward to creating jewelry with you again. I stumbled upon Lisa's name online, as I was searching for a jeweler to make a necklace from some older jewelry that I had inherited. I made an appointment to meet Lisa at her studio and was very impressed with her knowledge of jewelry and her selection of custom-made pieces. She knows a ton about older, antique jewelry and is lovely to chat with! I decided to use her services and it took a bit over a month for her to create my new necklace (I thought it would take much longer). Honestly, I couldn't be more pleased; it's absolutely stunning, and I receive compliments on it all the time. (Bonus: Her prices are very, very reasonable and she tells you ahead of time how much her work will cost. )As I was so happy with the necklace, I also had Lisa resize a couple diamond rings that were my grandmother's. Again, I was very happy with the results of her work and am now able to enjoy those antique pieces, instead of staring at them sit in a jewelry box. I asked her to do appraisals on the rings and she had them ready for me when I came to pick them up. Just to exemplify how happy I am with the work she has done for me, I will be returning to her at the end of the summer with my fiancé, as we have decided to ask her to create our custom-made wedding rings. I highly recommend Lisa's services for anyone in need of jewelry repair or anyone who wants a custom piece created. Whether you're shopping for jewelry or want to have something special designed, you won't be disappointed with Lisa Kotchey's work.She is an expert at what she does! She is well informed about the art of making custom-made pieces of jewelry and very easy to work with. Her shop is also filled with some of the beautiful jewelry she has made on-site in her shop. If you have a chance to see her actually at work on a piece of jewelry, you'll see what an expert she is at doing the job right. 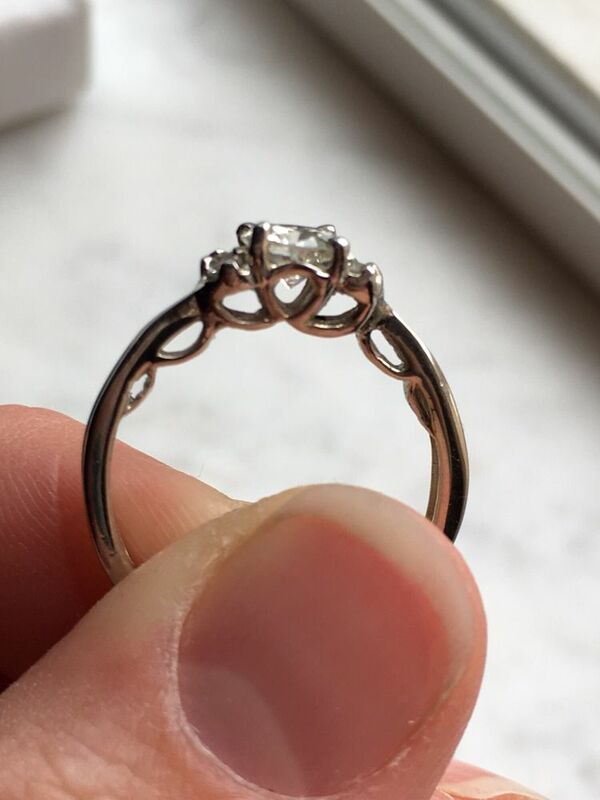 She completed a redo on a ring I had purchased that turned out to be the piece I had originally hoped for...only better! I cannot say enough good things about Lisa. Being 3,000 miles away Lisa has shown more passion about her work and her customers joy than any jeweler in a ten mile radius - in the 90210!!! I think it is imperative to work one on one when it comes to fine jewelry and you get that with Lisa. I waited till I was in town to size the amazingly gorgeous engagement ring she designed and she also sized my Mother's diamond wedding ring and fixed a diamond watchlet I have. I will never go to another jeweler... Lisa knows her trade.Three thousand miles away and she is the closest jeweler I trust with my most prized possessions. Lisa, I will definitely be seeing you again! THANK YOU. Eliza, thank you for continuing to make the trip to visit me! I am so appreciative of your business, and I'm so glad you love your engagement ring and the rest of your jewelry. I can't wait to see you in Pittsburgh again soon! Look closely. This little gem of a jewelry shop is full of unique finds and precious stones. Lisa is knowledgeable and personable. She had a wonderful eye for design which can be seen in her custom work. She helped me to pick the perfect settings for my Grandmother's diamonds. Lisa's work was impeccable and she really made my new rings sparkle. HI Kristine, It was a pleasure to meet you and thank you so much for your kind words. This was a fun project since I knew your grandmother since I was a kid and it was an honor to make something so special for you from her wedding set. Im glad we found a style to suit your style and I hope you enjoy these rings for many years to come. I look forward to serving all your jewelry needs. My fiancé ordered my engagement ring online and I was completely off on my ring size because it was HUGE. I stopped in at Lisa Marie's to get it resized. She was upfront about the cost and explained what she would have to do to resize it properly. 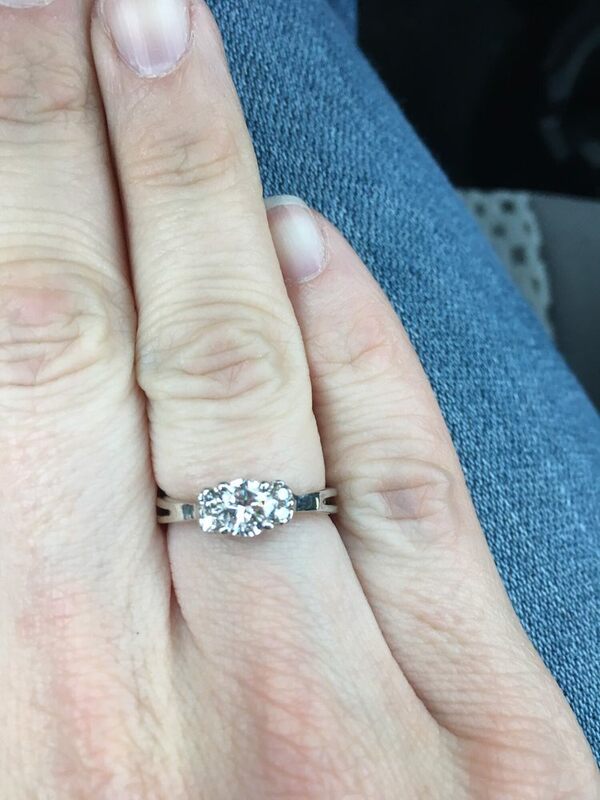 She finished it within 15 minutes, total cost was $45 (my band has tiny diamonds in it that she had to put back in when they popped off due to the smaller ring size, which made the resizing a little more expensive than the base cost). She was amiable and chatted with me while she worked. A very nice and talented woman. 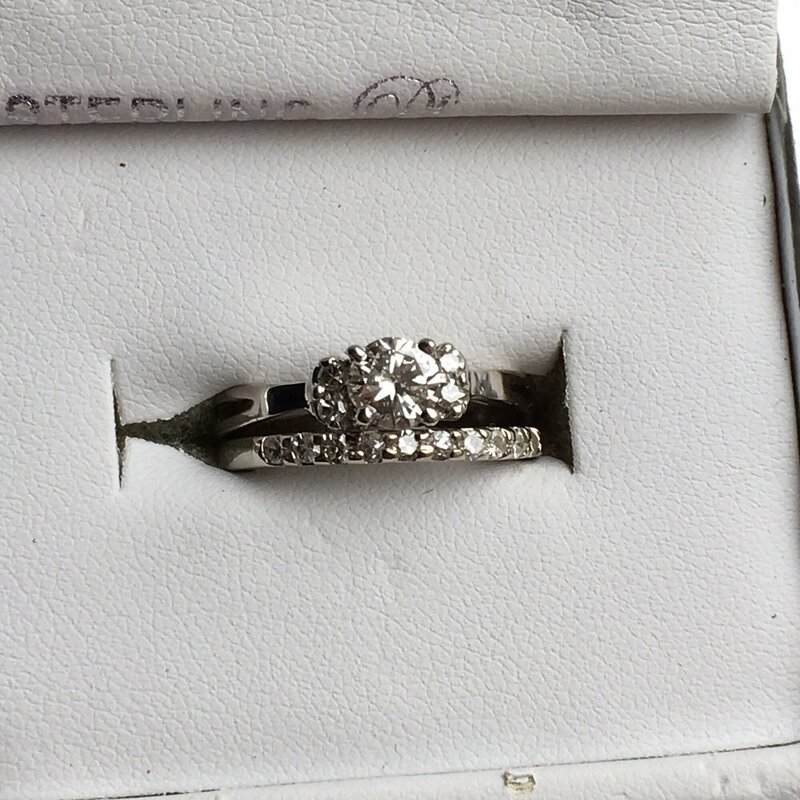 Marcie, I'm so glad I was able to get your beautiful engagement ring resized to fit properly! With such a special piece of jewelry, I'm so thankful you trusted me throughout the process. I hope to work with you again in the future! If you prefer an honest to goodness craftswoman to a generic mall type situation - this is the place to go! Lisa completed my repair while I waited and her pricing is more than fair. My job was a simple one (antique ring sizing) but she treated it with care and was so friendly I felt like staying for a cup of coffee. Her custom work is on display and well worth looking into. Antique, estate, contemporary or custom...highly recommended! Zoe, so grateful for a chance to help a new comer to Pgh. I love our city and hope you will too. Thank you for your kind words and I'm so glad you're enjoying your newly-resized ring. Hope to work with you again in the future! As I was so happy with the necklace, I also had Lisa re-size a couple diamond rings that were my grandmother's. Again, I was very happy with the results of her work and am now able to enjoy those antique pieces, instead of staring at them sit in a jewelry box. I asked her to do appraisals on the rings and she had them ready for me when I came to pick them up. Just to exemplify how happy I am with the work she has done for me, I will be returning to her at the end of the summer with my fiance, as we have decided to ask her to create our custom-made wedding rings. I highly recommend Lisa's services for anyone in need of jewelry repair or any one who wants a custom piece created. It was a pleasure meeting you and working with you, and I am pleased and honored that you came back for me to create your wedding rings. Thank you for all the referrals you have sent me. I look forward to working with you again; wishing you all the best ! Lisa did a beautiful custom engagement ring for my fiance, all while making the process easy and stress-free for me. I brought Lisa a few pictures of what I was thinking and she immediately reviewed multiple diamonds with me as well as bands. She always gave me her full attention and expertise during our meetings. The ring turned out perfect and the process couldn't have been more enjoyable or easier. She truly cares about her craft, and you could see that she was genuinely excited to make the ring special for both my fiance and me. Wow Mark, thank you for your kind words, I enjoy creating each and every piece I make especially when it's a special purchase like an engagement ring. I've been at this for over 30 years and understand that this can be a daunting task. I try to explain the facts and help you make an educated choice and you picked a beauty. I thank you in advance for telling all your friends and the family about me. Happy customers are my best advertisement. I look forward to working with you and meeting your fiancé in person! Ryan, thank you so much for your kind words and I could not be happier that you and your fiance are so pleased with the custom ring I created just for you. I'm looking forward to working with you again to create the perfect wedding rings. Please tell all you friends where you got your ring made; your business is greatly appreciated! Lisa was recommended to me by a friend who said she was an "awesome person who does awesome work" and he was right. Lisa helped me to design a custom engagement ring and my fiancé absolutely loves it! She is getting so many wonderful comments about the ring. We are both so happy with the work Lisa did on creating this beautiful one of a kind ring and the friendly educational service she provides! We will be returning to Lisa for all future jewelry needs. I highly reccomend Lisa Kotchey for anybody interested in purchasing some new jewelry. Mike and Amber, Congratulations on your engagement and thank you for trusting me to create this special ring for you. I look forward to meeting with you when it comes time for bands or anytime you want to stop in for a cleaning. Please feel free to tell everyone you know where you had your ring made. Wishing you all the best!